Think Big! 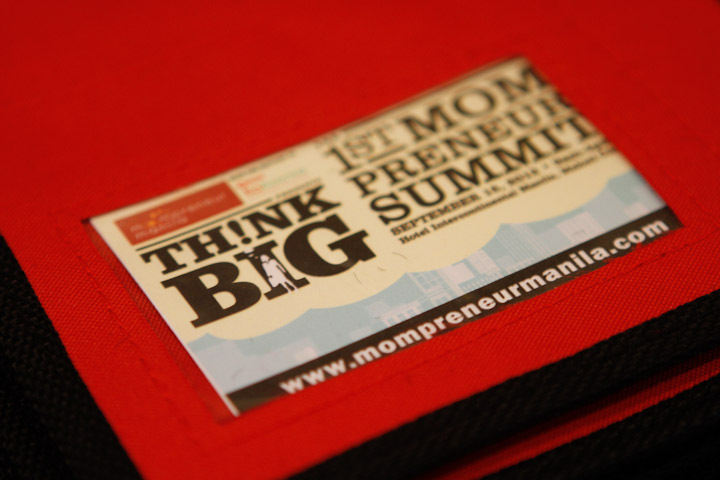 The first Mompreneur Summit was held last September 15 at the Bahia Ballroom, Hotel Intercontinental, Makati City. There were a total of 91 mompreneurs. The resource speakers were Krie Lopez, Janette Toral, Jen Tan, and Mompreneur Manila founder Janice Villanueva. Other speakers were Josiah Go, Amor Maclang, and Anton Diaz. Topics discussed were: Brand Building & Positioning for Profitable Growth by Josiah Go; Helping Emerging MomPreneurs through PR, and MOW by Amor Maclang; Krie Reyes-Lopez, founder of Messy Bessy shared her “Social Mompreneurship” experience; Janet Toral, founder of DigitalFilipino.com and author of various books on e-commerce spoke about E-Commerce and Social Media Techniques to Build your Business; Anton Diaz, founder and publisher of www.ourawesomeplanet.com and Professional Blogging and Internet Marketing at the Asian Institute of Management spoke about “How mompreneurs can create an online personal” and on how they can find a vision beyond themselves. Jen Tan, owner of Like Minds, Inc., maker of Next9 products, co-founder of LATCH and the Filipino Association of Babywearers (FAB), and brand Ambassador of PLDT Kaasenso revealed the “Practical Time Management Strategies for All Types of Mompreneurs”.